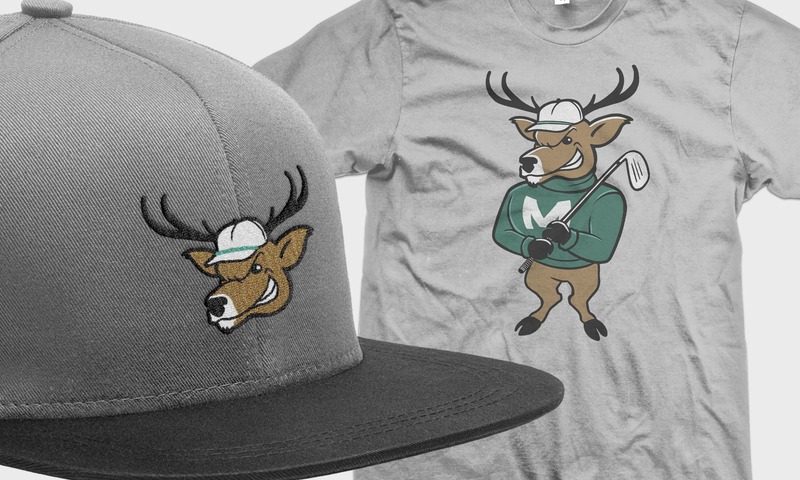 McEwan, a Boston-based golf apparel brand specializing in hats and t-shirts, wanted a new mascot for their brand to be printed on shirts and embroidered on hats. 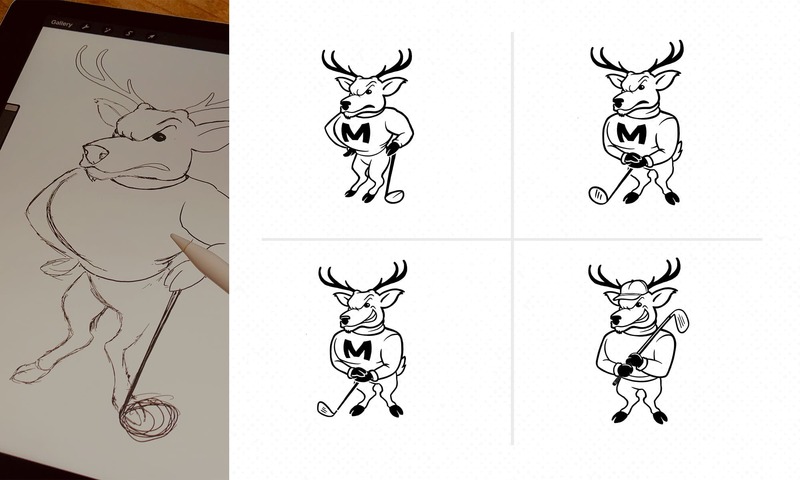 The style they were looking for was a vintage style college mascot that was used by just about every college back in the 50’s and 60’s. Characters from the Texas Longhorns, Michigan, and Notre Dame were mentioned as being favorites. 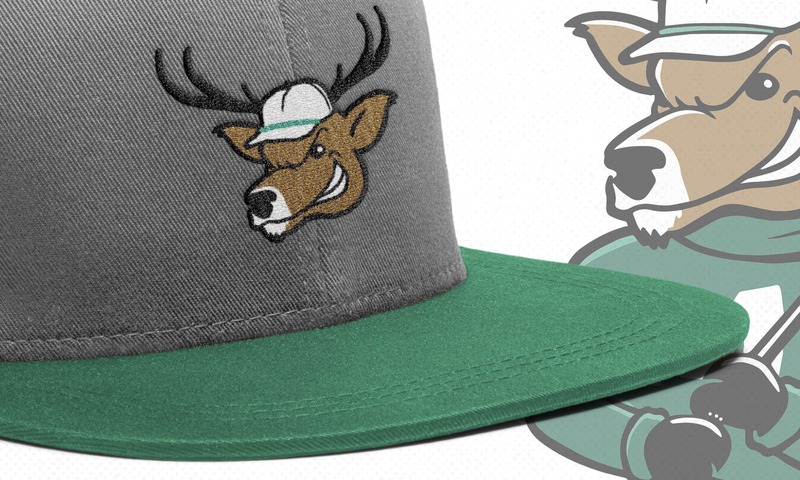 Since a large proportion of those old mascots were based on animals, the client wanted theirs to be a white tail deer. 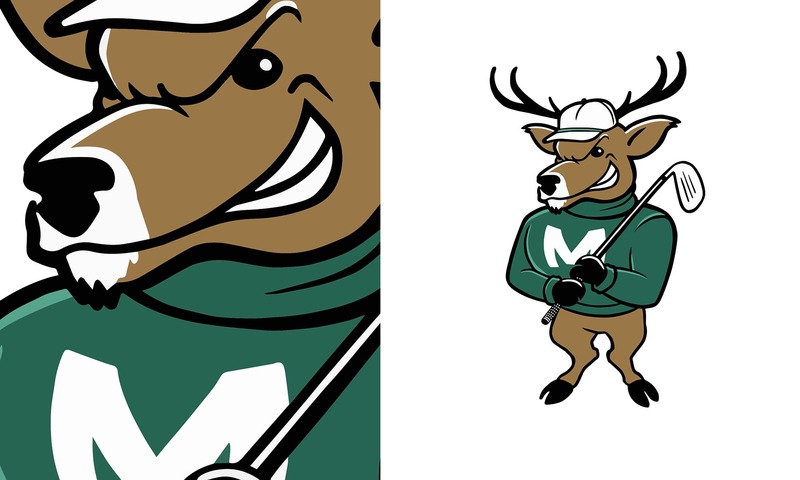 After diving deep into the world of old team mascots, I started sketching in Procreate to not only find the right overall style but also to figure out the right facial expression and stance for McEwan’s new mascot. There were a few important concerns I had going in: He needed to be standing upright like a human but should he have human hands or hooves? 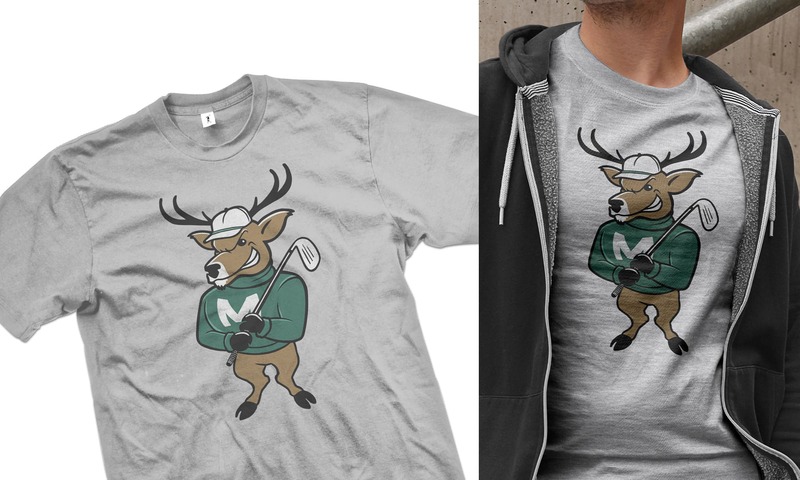 If a deer could stand upright, what would his legs look like? Working through those things was the most challenging part of this project. In the end, the client was very happy with the new character and immediately ordered print samples within 10 minutes of receiving the final version.